London has declined Moscow's request for coordinates of terrorist targets in Syria and contacts with the moderate Syrian opposition, Russian Ambassador to the United Kingdom Alexander Yakovenko said on Oct. 21. "We have raised two questions: firstly that the British actively cooperate with us and indicate targets that must be hit in Syria to destroy ISIS. Unfortunately, I have received a negative answer. The British said they would not be cooperating in that matter with us," he said in a program aired by the Rossiya 24 television channel. In the words of the Russian ambassador, the British side also gave a negative answer to the Russian request for contacts of the Free Syrian Army. "I was told that Russian Deputy Foreign Minister Mikhail Bogdanov knew the entire moderate opposition well," Yakovenko said. By doing so, "the UK somewhat imposes political limits on itself, i.e. does not cooperate with Russia in these matters," he said. 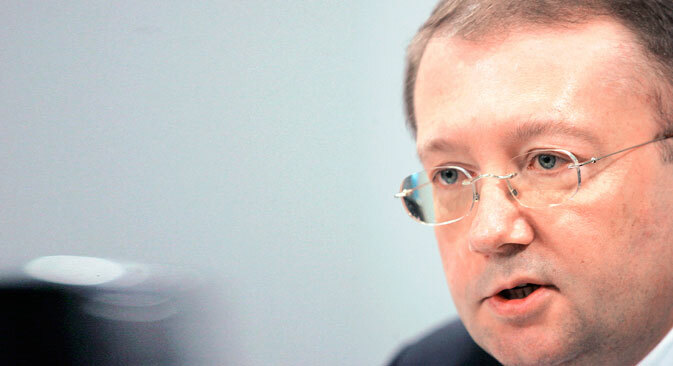 Moscow "is still counting on cooperation with the British" on the Syria issue, Yakovenko said. "We deem very important interaction and dialogue with all countries without exception that can make at least some contribution to the approaches we share in the Middle East," the diplomat said. "The fact that the British government has not proposed to parliament to join the military operation in Syria reflects hesitations and indecision about the grand strategy," Yakovenko said. "In fact, which side to take and how to do so is a big strategic task for British policy to solve", the ambassador said. "Indeed, we will be working with the British to help them feel the real strategy and realize that the destruction of terrorism personified by ISIS is our common goal, which essentially meets national interests of the UK," Yakovenko said. Russian President Vladimir Putin said on October 13 that the United States was not providing Russia with information about terrorist sites in Syria and the locations which must not be attacked by aircraft. "We have asked [the U.S.] to give us targets that they [U.S.] consider to be 100 percent terrorist [targets]. But their answer was: no, we are not ready for it. Then we thought again and asked them one more question: then could you tell us where we should not strike? There has been no response either," Putin said when answering questions on the sidelines of the Russia Calling forum. "But how to work together? What to do?" he said. "It seems to me that some our partners just have their heads in a muddle," the Russian president said.